The igoo team have been working hard over the last few months as we have prepared to launch the brand new e-commerce website for Crystal Clear. We’re very pleased and proud to announce that the site has now gone live and is already proving a huge success. Crystal Clear is a global skincare brand with a dedicated celebrity following, who are committed to innovating new treatments, products and equipment to solve a range of skincare needs. 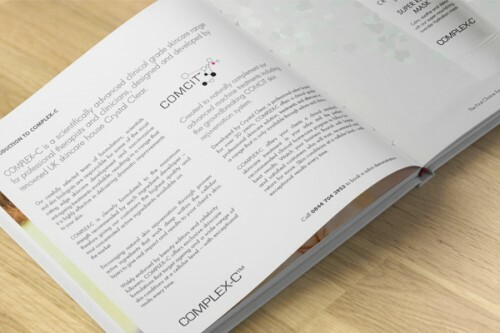 With a growing product range and a strong interest from salons, Crystal Clear required a new website, offering a more targeted user experience to cater to both consumers and beauty professionals alike. Their revamped site needed to reflect the luxury, high-end feel of their branding, whilst keeping the feel minimal and clear. 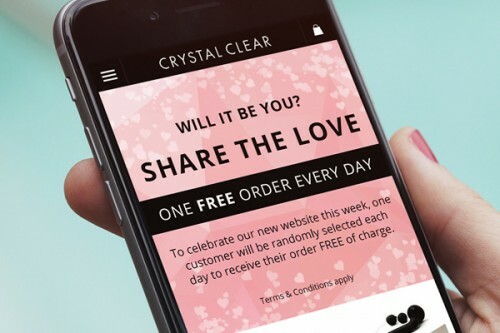 The new website directs users depending on whether they’re looking to shop Crystal Clear’s range of skincare products or wanting to find out more about their professional salon equipment and product range. The fully responsive site features a custom built user log-in area for customers to review orders, a comprehensive blog and press archive section, and complete social integration. Customers can view the full Crystal Clear skincare range and discover more about their salon treatments. Each treatment has its own dedicated page and the salon finder feature allows customers to find their nearest salon offering each treatment. 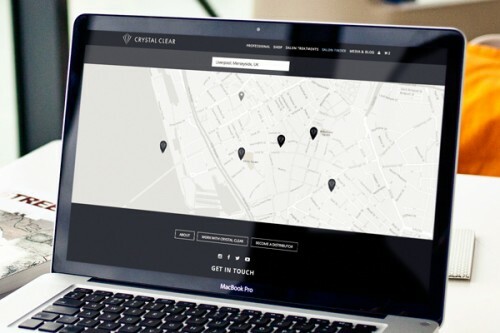 During the transition from Crystal Clear’s previous site, we completed a cross-platform migration, importing over 8,000 customers and 2,500 salons to ensure the database was up-to-date. The professional division of the site profiles the brand’s full range of skin systems and treatments, and allow salons to enquire about offering the specialised treatments to their customers. igoo are providing ongoing design support to Crystal Clear, helping to develop their brand both online with email marketing and social media channels, and offline through brochures and print work. For more details on our design and e-commerce services, please get in touch.